September means going back to the grind for a lot of people. However, the Nxt ecosystem has kept going on even during the summer. That allows us to share with you now the fruits of that work. Here are our highlighted news for the week. Nxt version 1.10.2 has been released. It includes several minor bug corrections and some other improvements. It should be remarked that among them is the Cross-Origin Resource Sharing (CORS) mechanism which is now enabled by default. This allows some resources from the NRS to be requested from external domains. Another remarkable improvement is that maximum number of unsuccessful login attempts when introducing the admin password has been limited to 3, thus, adding an extra layer of protection against brute force attacks. The Nxt Foundation is now officially an affiliate member of the Hyperledger Project! With these words, Damelon of the Nxt Foundation announced the associate membership with Hyperledger, a collaborative project created by the Linux Foundation to advance blockchain technology by identifying and addressing important features for a cross-industry open standard for distributed ledgers that can transform the way business transactions are conducted globally. The Hyperledger Project is working to enable organizations to build and run robust industry-specific applications, platforms, and hardware systems to support individual business transactions by creating an enterprise-grade open source distributed ledger framework and code base. Some of the most innovative companies in the world are actively engaged with this project. It is a global collaboration of the best and brightest in Finance, Banking, Internet of Things, Supply Chains, Manufacturing, and Technology. As Jim Zemlin, the Executive Director of the Linux Foundation, says, “Blockchain demands a cross-industry, open source collaboration to advance the technology for all”. No doubt that Nxt should be represented here! In just a few more days, it will be a year since the Tennessee Project started to take shape by means of a crowdfunding campaign which became the seed of the current Nxt Foundation. It’s time to reflect about how the project has developed and make assessments about the way we want it to continue while keeping in mind the financial aspects, which is always critical and must be taken seriously. 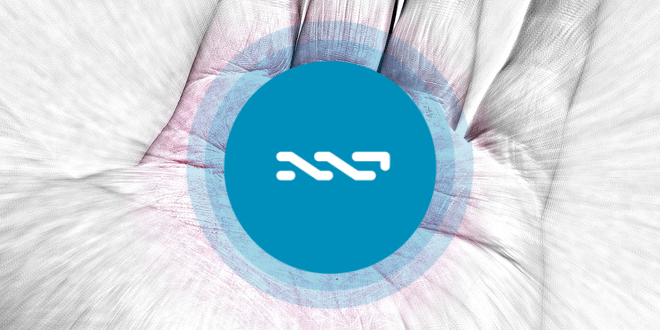 That’s the reason why Bas Wisselink and Dave Pearce, both of the Nxt Foundation, have taken a step forward and started a thread at nxtforum.org to open up a debate among nxters to hear all the voices on the efforts that have been made over the preceding months and how to address the future. The express purpose of the TNSSE Project was to pull Nxt out of the slump that it was in at that time (a market cap of ~ 8 million and a daily volume of around 10 to 30k USD) by working to get our fundamental sites, SEO, PR and organizational basics together. At this moment, before things become more tough, we would like to hear your opinion on our performance and how you see the future. We feel this is important and right to do. Do you lot (ie the Nxt community/investors/volunteers/interested bystanders) want us to continue with a second year of the Tennessee Project? This isn’t (yet) a discussion about fundraising, so let’s leave that to one side, and concentrate on what TNSSE has achieved so far, and could do in a second year. Some users have started to speak up. All the nxters are invited to take part in the discussion and bring up opinions and ideas. Liquid is having a tough time. Poloniex has decided to delist this asset from their exchange, probably because the exchange doesn’t want to have to bother to pay dividends every month to the shareholders. Despite the excellent overall performance of the asset, LQD broke last month. After over a year of paying a considerable amount of NXT in dividends to its investors almost every month, the trading bot in which the asset uses to generate profits failed with two big trades with Monero that went really wrong last August. Due to the transparency policy of Liquid, anybody can see the trades here. As most of you already know, XMR cracked my bots last month for a lot of BTC. At first I thought it was my algorithm, but after more research later, I found a bug in the code that incorrectly implemented the algorithm. 2) Liquidate with a buy wall at the liquidation NAV price and let people cash out. So these are the two possibilities on the table for the future of LIQUID. If you are an investor in LQD, or are planning to be one, don’t hesitate to post your opinion on the Nxtforum. A fake Twitter account has been created recently. It tries to impersonate the official Nxt Community account by spreading false information and attempts to defraud the users who follow the account. It has cloned the design and news of the original page and even includes a whole bunch of fake followers and tracks people who is following other official Nxt pages. The Nxt Foundation has already contacted Twitter so that they can take the appropriate action to delete that fake account. In the meantime, please be very careful and keep your eyes wide open.